Ohhhh yes, those lovely first trimester days of sleeping for twelve hours a night are but a distant memory. It was during those weeks of early pregnancy exhaustion that I built a rod for my own back and started doing what I said I never would - laying down with Daisy at bedtime. She had just learnt to scale the safety gate on her bedroom door so it seemed like a good idea; I got to have an early night while stopping her from potentially hurting herself whilst attempting to escape from her bedroom. But then my energy levels reverted to normal, and I wanted my evenings back to watch Eastenders do my housework and my writing and, most importantly, it dawned on me that in a few months time there will be a new addition to the family, and it will be highly unlikely that she'll give me an hour's peace at 7pm every evening to lie down with her big sister. 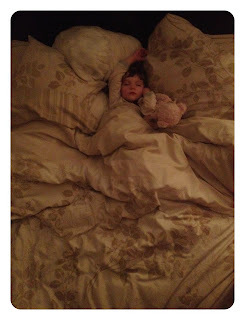 So a couple of weeks ago I decided to try and get our old bedtime routine back. 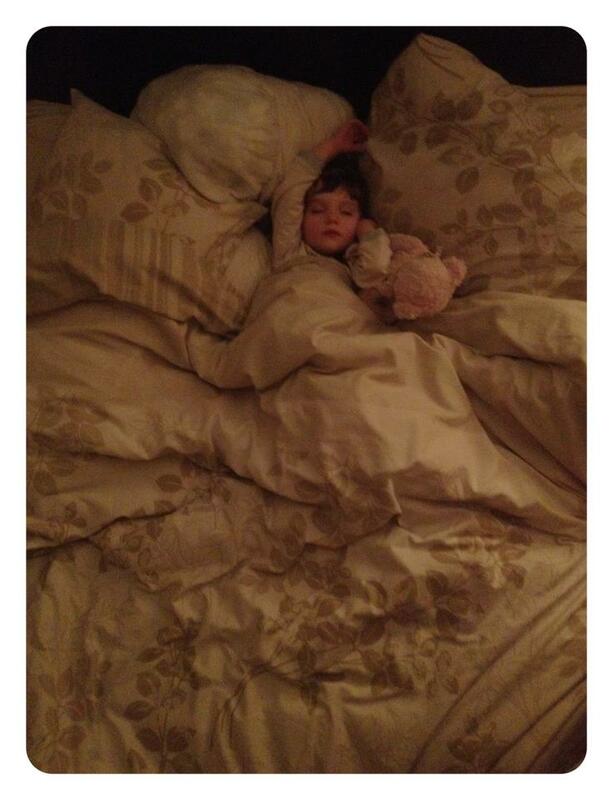 Bedtime has always been a fairly standard one in the Modern Mummy household. It involves a bath, PJs, teeth brushing, story reading, milk and sleeeeeeep. Only now it apparently also includes around two hours of a certain small person repeatedly getting out of bed, climbing over her gate and joining her parents in the living room, making a whole lot of noise at the same time, before being frog marched back to bed again. Then pregnancy insomnia hit me hard and I started to find myself wide awake for hours in the middle of the night and up at silly o'clock in the morning. I suffered terribly from insomnia whilst pregnant with Daisy but got round it with early nights and afternoon naps. But this time, the stressful Daisy bedtimes together with my broken sleep really started to take its toll. Intravenous coffee drip anyone? Oh, no... hang on! No caffeine allowed..... sob! Tonight I tried closing madam's room door after I'd put her to bed. Something I probably should have tried earlier but it is something I never wanted to do either, as I hated having my bedroom door closed as a child. I liked to see the hall light on and to be able to hear my parents chatting downstairs. It wasn't easy and there were a lot of tears but after only an hour of repeatedly putting her back into bed as opposed to two, it ended up having the desired affect. Now I just have to stick to my guns and persevere with this new, improved (?) bedtime routine. Please cross your fingers that it works. And on that note I am off to Bedfordshire to try and catch some ZZZZZZZZs before I find myself lying awake in bed at 2.30am thinking about changing bags and buggy boards.